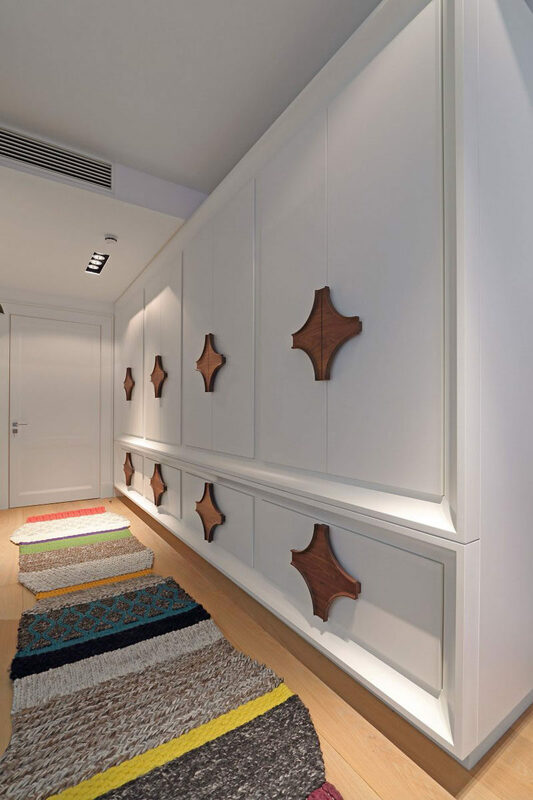 When architecture and design firm OPEN AD were asked to renovate this apartment in Latvia, they thought of a creative way to add a bold look to the wall of cabinets in the hallway. 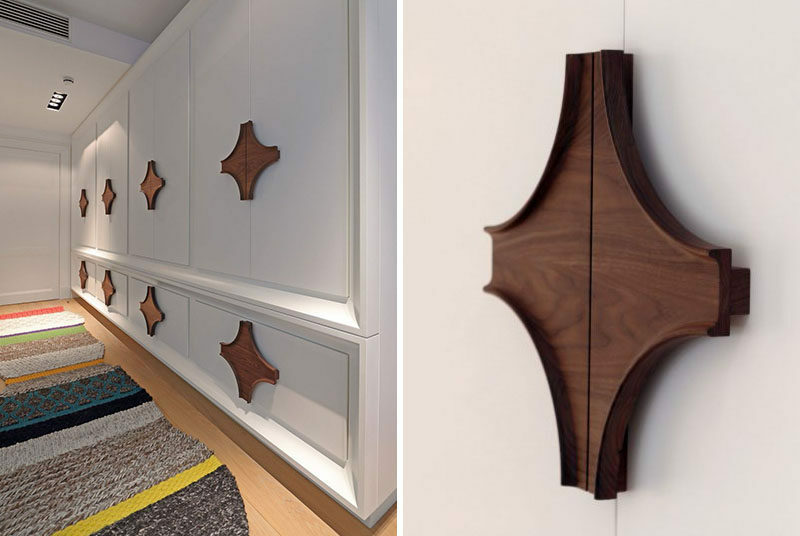 As an alternative to having regular cabinet hardware on the doors, they added large oversized wood details as cabinet door handles. 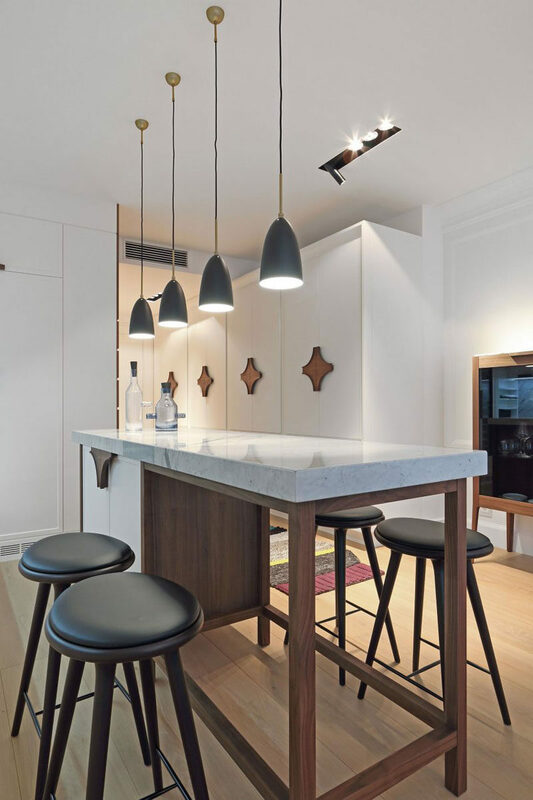 By adding the oversized wood hardware, the all-white cabinets are broken up with a natural touch, and draw your eye to them. 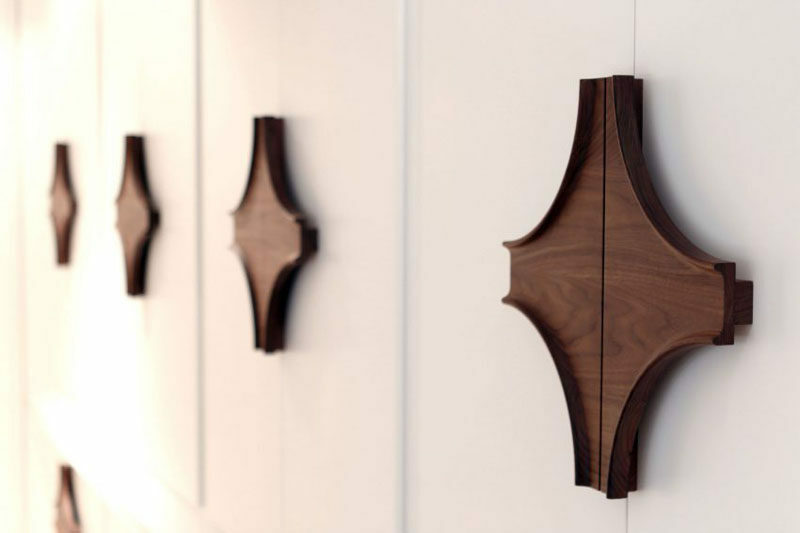 From a distance they appear almost as contemporary wall art and not as a functional piece of cabinet hardware.